"Nice clean comfortable rooms with all international faciliti..."
Have a question for Welcomhotel Bella Vista? "Large Room, Very good location, Efficient staff, Good breakfast and Dinner." "The breakfast was good and had good choices for everyone." 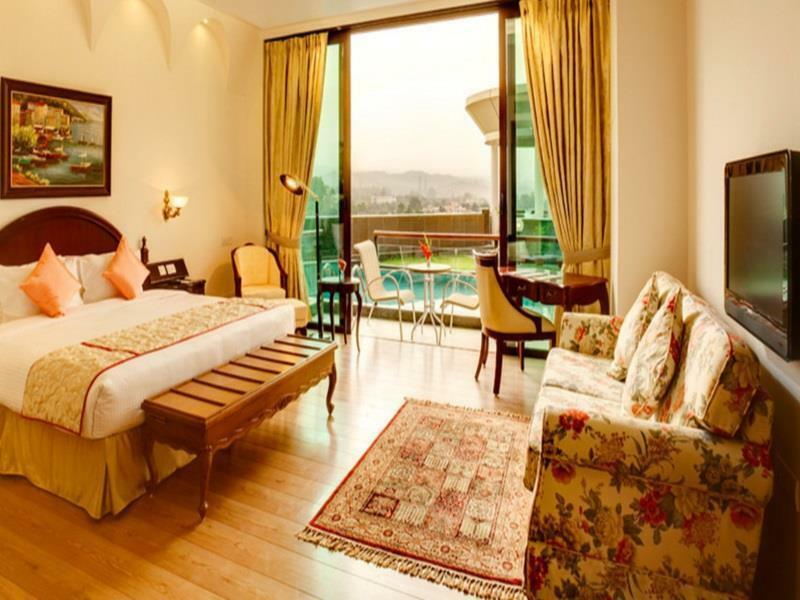 "Arvind from your hotel service was amazing !" 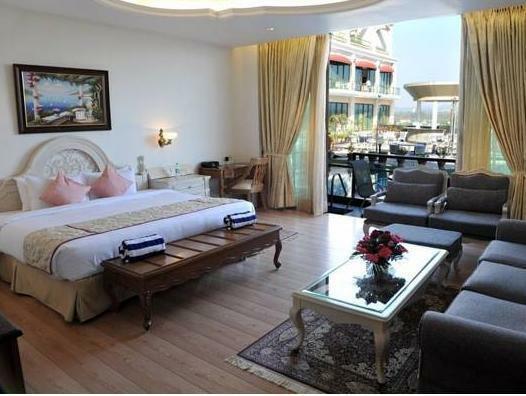 If what you're looking for is a conveniently located hotel in Chandigarh, look no further than Welcomhotel Bella Vista. Situated only 15 km from the city center, guests are well located to enjoy the town's attractions and activities. 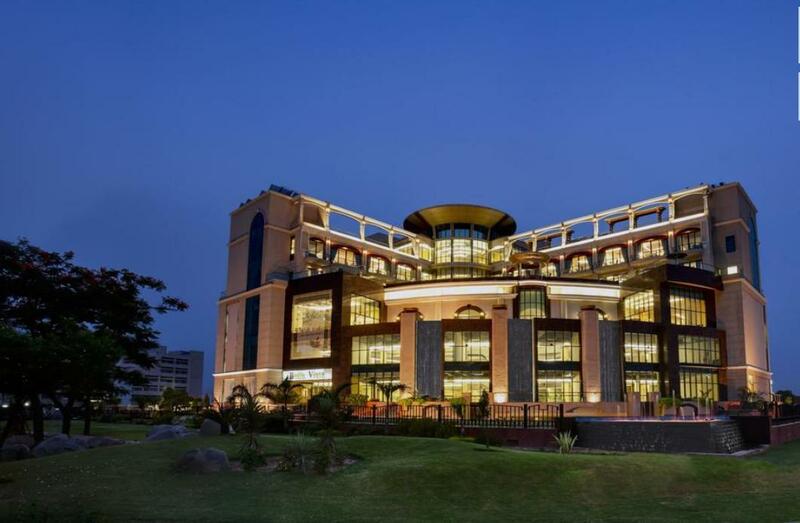 A haven of rest and relaxation, the hotel will offer total renewal just steps away from the city's numerous attractions such as Funcity, Eden Hospital, Elante mall. The facilities and services provided by Welcomhotel Bella Vista ensure a pleasant stay for guests. A selection of top-class facilities such as 24-hour room service, 24-hour security, shrine, daily housekeeping, fireplace can be enjoyed at the hotel. Welcomhotel Bella Vista is home to 49 bedrooms. All are tastefully furnished and many even provide such comforts as television LCD/plasma screen, additional toilet, bathroom phone, linens, locker. The hotel offers many unique recreational opportunities such as fitness center, golf course (within 3 km), outdoor pool, spa, massage. 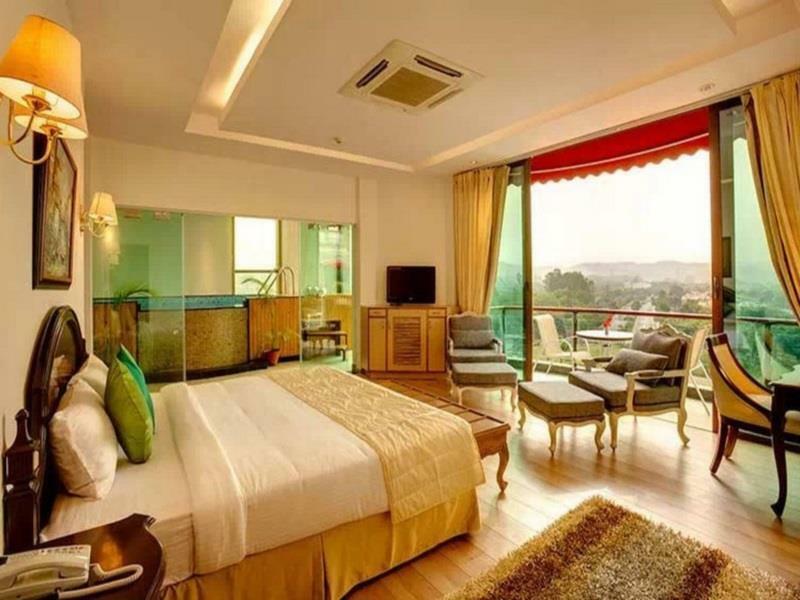 Welcomhotel Bella Vista is a smart choice for travelers to Chandigarh, offering a relaxed and hassle-free stay every time. "Everything done well and excellent meals"
Room and led both are small.breakfast buffet was not up to mark. Most of the items were finished and the waitors were in a hurry to leave because a marriage function was going on . So they were not taking care of the guests . It was good experience except the cleanliness of swimming pool at 6th floor. It was with dirty water with all leaves and pigeone feathers floating in it, so we decided not to use it. Room balcony on 4th floor was dirty. Rooms are Ok . since property is old so now need some kind of renovation immediately in the rooms. Nice clean comfortable rooms with all international facilities available. Good helpful staff. Though I can’t say it’s a 5 star hotel but, it’s the best available in that area. The breakfast was good and had good choices for everyone. This was our 4 th stay here. I would recommend this hotel to all types of travellers. Picked this hotel as ITC brand. Old property and ITC is the saving grace. Smooth check-in and courteous staff. Old lift takes you to the floors above. Room was good although furniture is all old. Even the bathroom is old fashioned although very clean and with all amenities. Had dinner and breakfast in the restaurant on 4th floor - food was good. Smiling service was a bonus. Was value for money for the rate we got at Agoda - otherwise better options may be available. We did not hop for every item in the dinner but selected one were amazing. We took a night before travelling to shimla and it was definitely worth it. Swimming pool surrounding could be enhanced but still good. Arvind from your hotel service was amazing ! I was refused a room in the hotel even after advance booking and payment. I have already filed my complaint with Agoda. Worst restuarent ever seen. No one there to serve you or take a request from you or even if taken order then to serve you. We booked this hotel, as it is an ITC group hotel, however it didn't meet our expectation level at all due to the given reasons : - Staff sitting at reception was not at all helpful, ever time he had only one answer "No sir" - No welcome drink was served - Pool was closed and when we had asked for it, they said we cant open it as some one did suicide and we cant take risk. Why would we do such things there???? we wanted to enjoy the pool but this hotel ruined it at all. - Room was not up to the mark, as it was a four start property and rooms was maintained like a 2 star property - At night, we were sitting at the terrace for dinner and had asked them to serve drinks on the terrace, the staff denied and the excuse was "the license for serving drinks outside has been cancelled". Just after 10 minutes, I saw that the drinks to the other customers were served outside without any issues. How can a 4 start property discriminate between the customers???? - Quality of breakfast was pathetic - Washrooms were not at all up to the mark To cut this short!! I would never recommend anyone to book this Hotel, as it will ruin the complete stay!! Big rooms than expected and breakfast was too gud .overall very nice stay .they need to provide children play area and improve gym . The hotel is good but the shower in bath is too tight and the rain shower didn't work only hand shower was working. Room has basic aminities . Breakfast quality is very good and staff very courteous . Pleasent stay. 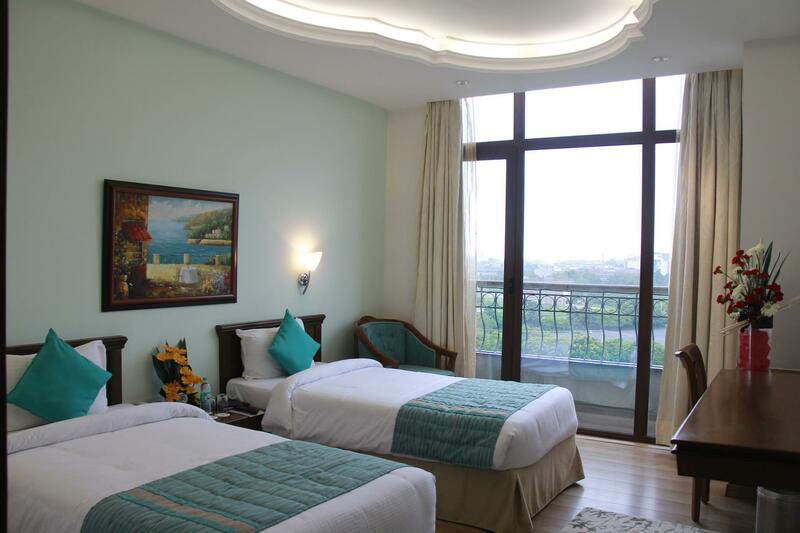 Large Room, Very good location, Efficient staff, Good breakfast and Dinner. The staff was very nice .overall good stay happy and satisfied.